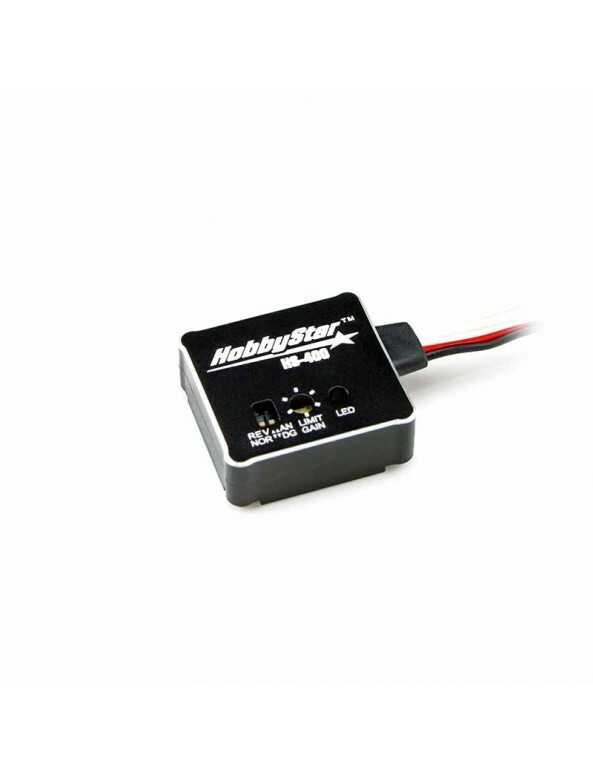 The HobbyStar HS-400 gyro is the ultimate secret weapon for drifting and all-around driving. Whether drifting, or driving on loose/wet conditions it gives you perfect control of your vehicle in the turns. By automatically counter-steering for you when the rear end begins to slide, it greatly improves the handling of your vehicle in loose conditions and lets you drift with amazing control. Additionally, it has an optional lead that can be connected to a 3rd channel on your receiver that allows you to remotely adjust it from your remote while driving. When not connected to a 3rd channel, the HS-400 is still fully adjustable with the dial built right into it using the included screwdriver. 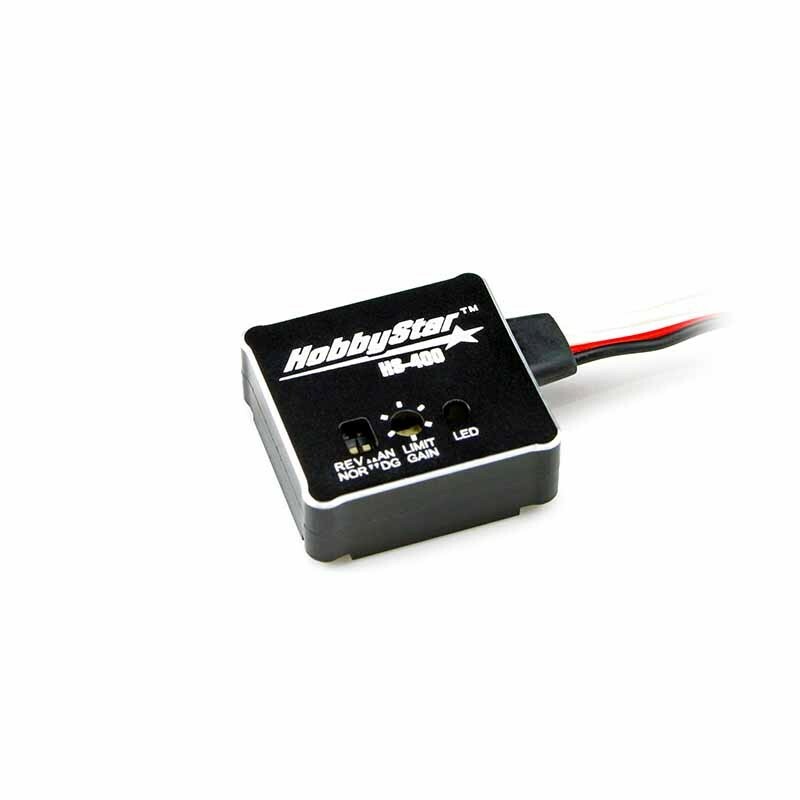 Reversible direction allows use in any application, and it is compatible with both digital and analog servos. Housed in a beautifully machined aluminum case and available in black, blue, orange and red. 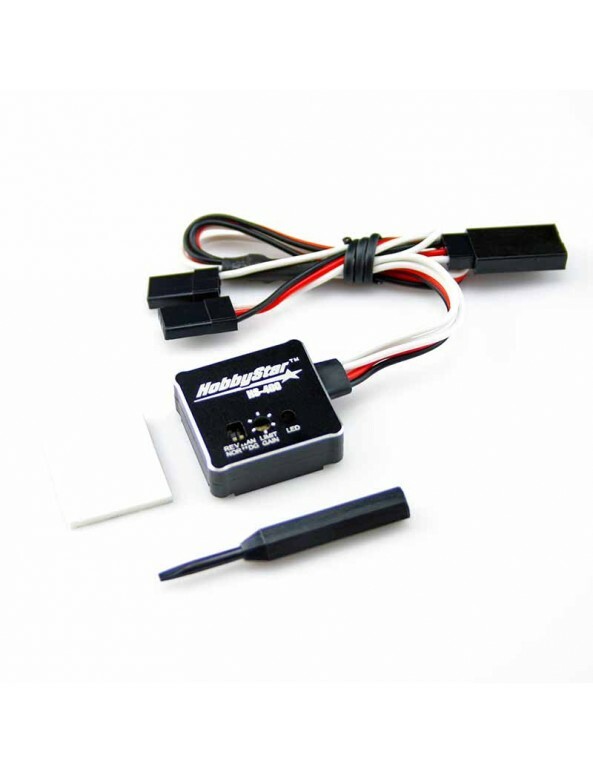 Add one of these to your car and take your driving to the next level! HobbyStar HS-400 Gyro Instructions - Click on link to view the file, or right-click (control-click on a Mac) the link and choose “Save Link As...” to save the file to your computer.